DEUTZ DIESELPOWER (DDP) is the sole distributor for Sales, Support and Service for all DEUTZ engines in South Africa and certain Anglophone African Countries. DEUTZ DIESELPOWER (DDP) is the sole distributor for Sales, Support and Service for all DEUTZ engines in South Africa and certain Anglophone African Countries. We are committed to customer service, support and satisfaction, which is achieved by providing the best possible service in our industry through investing in and empowering our team of passionate employees. We offer world leading DEUTZ engines covering the power range of 13kW-520kW, in both liquid and air-cooled engine cooling variations. 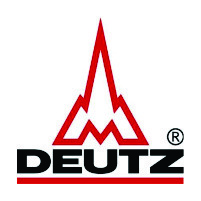 Our other services include the unconditional technical service support on the complete DEUTZ product line. This commitment covers sales and service on new genuine DEUTZ parts and the supply and support of service exchange parts and engines. Our commitment is further enhanced by providing a quality-focused centre of excellence, refurbishing engines and key engine components. Tags: Full workshop repairs, Engine component repair and testing, Field service, 1000 hour technical service, Fixed service exchange engine sales, On site pit crew and supervisor, Engine survey / over inspection, On site product specialists, Engine commissioning and decommissioning, Fixed engine Maintenance billed by operating hour, Full fixed maintenance lease agreement including engine capital by operating hour, Exchange program for old technology products, Mining, Industrial & Construction, Genset Engines, Marine engine range, collers, oils, pumps, parts, spares.